Full 2 year manufacturer’s warranty with a 1 year loss and damage coverage. The Shine is the newest economy hearing aid available from Unitron. The Shine comes standard with some of the most advanced technologies available in an economy-priced hearing aid. With the Shine, Unitron makes available technology such as Speech Enhancement, which automatically makes soft speech easier to hear, without making loud sounds more intense. AntiShock and Adaptive Direction Microphones work to detect and control sudden uncomfortable sounds and allow you to hear the sounds directly in front of you with better clarity. For more technical and lifestyle information about hearing aids check out our General Information page. 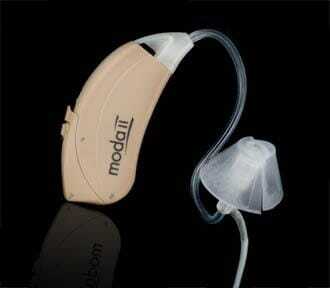 *The Shine is suitable for mild to severe hearing loss.